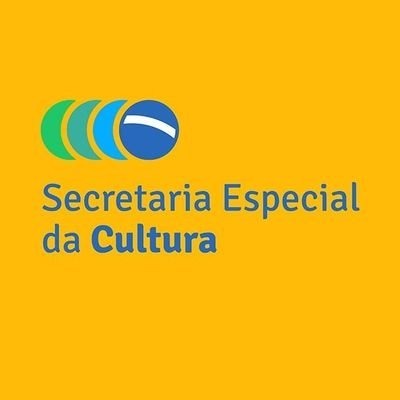 Following the merging of the Ministries of Culture, Sports and Development under the Ministry of Citizenship, Henrique Medeiros Pires was appointed Special Secretary of Culture in January 2019. According to the Minister of Citizenship, Osmar Terra, the integration of these areas will bring more benefits and more robust proposals for human development and the new structure maintains the essential components of the former Ministry of Culture. One of the most important tasks of the former Brazilian Ministry of Culture was to develop projects that stimulate the production of arts in the country and one of their most successful initiatives was the tax reduction incentive. A challenge for the new Secretary of Culture will be to review the current arts and culture financing procedures, especially the well-known Rouanet Law. But besides the law of 1991, each state in Brazil has its own list of benefits to encourage sponsorship from companies and these other benefits are not as explored as they could be. Practically any type of cultural project can be submitted to public financing and companies may sponsor these projects. In turn, sponsoring companies generate visibility and a reputation of social responsibility at no extra cost through the tax reduction incentives. 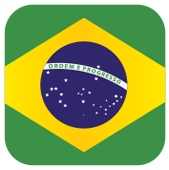 The Rouanet Law  deducts the Income Tax that is paid yearly by companies in Brazil. The total value invested in cultural projects may be deducted from the tax value due, as long as it respects the limit of 4% of the total value. Therefore, a company that pays R$100.000 of Tax Income could relocate R$4.000 to financing cultural projects, for example. Law nº 8.313/1991 from the Ministry of Culture, known as the Rouanet Law, institutes the Program for National Support of Culture (PRONAC) that implements three central mechanisms: the National Culture Fund (FNC); Fund of Cultural and Artistic Investment; and incentives for cultural projects. Artists or companies looking for funding can submit their projects to be analyzed by the Secretariat of Promotion and Incentive to Culture (SEFIC) and by the Secretariat of Audiovisual (SAV) through the online platform SALIC. Both secretariats are in charge of the evaluation of the projects submitted and the determination of the budget granted. The law is under a lot of criticism in the country due to a lack of knowledge on the specificities of the financing and the misunderstanding that public resources are heavily invested in these projects. Unfortunately, this motivates majority opinion to be against the initiative. The fiscal benefit itself is a type of finance that does not jeopardize the use of public resources. Of course, it has its problems, such as poor distribution amongst all projects, but a revision of the mechanisms of distribution could help solve the problem. Nationally, the Audiovisual Law also allows the deduction of 4% of the Income Tax, but specifically when the sponsorship is for movie projects. In São Paulo, the ProacSP offers the deduction of up to 3% of the company’s monthly ICMS taxes. 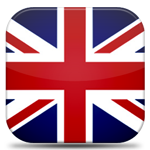 In Rio de Janeiro, the ISS Law benefits service companies that can deduct up to 20% of the monthly service tax. SEITEC, in Santa Catarina, allows the discount of 5% of taxes due to circulation of goods. In Minas Gerais the benefit of IFC (Culture Fiscal Incentive) is even higher, reaching 10% of the total value due; it is also possible for companies in Bahia to get the same discount through the FazCultura law. Ceará has the Jereissati law and Rio Grande Sul has the LIC  (Culture Incentive Law), both allowing the waving of 2% and 3%, respectively, of monthly ICMS taxes. One of Sidera’s clients, Yoga com Histórias, is a current beneficiary of these programs. Their series of videos for children, teaching basic yoga positions through stories that help develop emotional intelligence and focus, already aired its first season with 13 episodes, broadcasted by TV Rá Tim Bum and TV Cultura. The series is a perfect example of a cultural project that can be sponsored by companies whose target audience are children. Both potential beneficiaries and sponsors may apply for the programs through each state’s website. All these incentives are a great way for companies to associate their brand to cultural projects that reflect their own principles and beliefs, serving as a perfect marketing strategy while helping to spread arts and culture in the country. 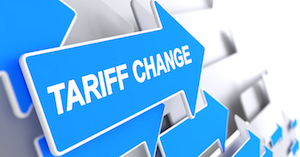 ICMS is the Brazilian Tax on the Circulation of Goods and Transportation and Communication Services, meaning, this tax is levied every time there is an operation relating to the movement of goods. It is a state tax, with a 17% rate in São Paulo.